Bidding on eBay can be an exciting and intoxicating process, but sometimes the excitement results in us placing bids we quickly end up regretting. Here's how to cancel a bid on eBay, including how to retract bids when there are more than 12 hours before an auction ends, and when there are less than 12 hours. It also covers how to cancel an order when using the eBay mobile app. You've accidentally bid the wrong amount (e.g. $900 instead of $9). The seller has "significantly" changed the description of the item. The seller isn't responding to your messages. In practice, it's possible to retract bids even if none of these circumstances apply. 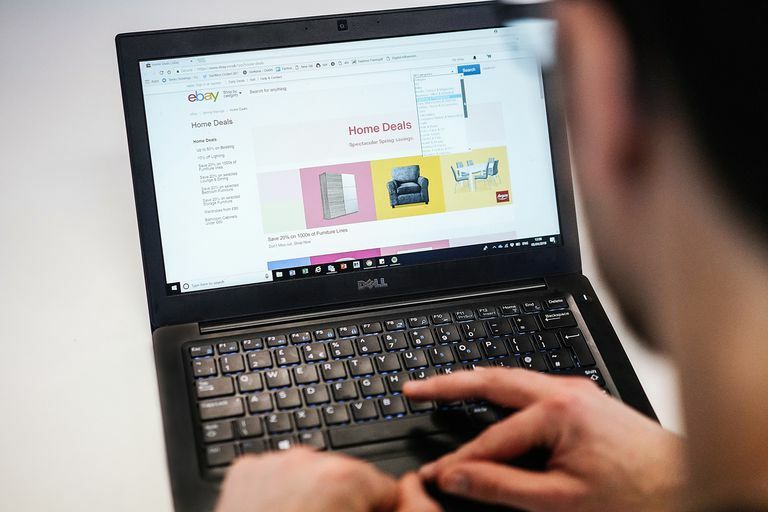 Even though sellers can't give you a negative rating for this, it still runs the risk of the item's seller reporting an invalid bid retraction to eBay; if enough reports about you invalidly retracting bids are made, eBay may ultimately suspend your account. With this warning in mind, you can complete the retraction by navigating to eBay's Retract Bid webpage. To do this, you can either select this hyperlink to directly access the old retraction form, or you can navigate to eBay's Help pages and go to the section on retracting bids, where you can find an alternative, newer link for retracting bids. Select this hyperlink to open the old retraction form. Enter the item number of the item on which you've mistakenly bid. Choose your reasons for canceling from the Your explanation of the retraction drop-down menu. Select Help & Contact from the left-hand side of the menu bar at the top of the screen. Type Retracting a bid into the search bar. Select Retracting a bid when it appears. Select the item for which you'd like to retract a bid. It will be under the Retract your bid subheading. Choose the appropriate reason for canceling your bid. It's also possible to retract an eBay bid when an auction is scheduled to finish in under 12 hours. However, a few differences apply in such cases. For one, you can retract bids only within an hour of having made them. In other words, if there are less than 12 hours before an auction ends, any bid you place during this period must be retracted within an hour of making it. Assuming this condition holds, you can then go about retracting exactly as described in the section above. Go to the item's listing and select Contact Seller. Select Other from the Select a topic menu. Enter a topic heading, then type a message requesting bid cancellation and your reasons for wanting to cancel the bid. Select Send a copy to my email address, if so desired. Type the verification code shown in the image, then select Send. You can also contact the seller in cases where the auction has more than 12 hours left to run but your reason for wanting to retract your bid isn't recognized as valid by eBay. Retracting a bid on the eBay mobile app is pretty much identical to retracting a bid on the eBay website. You can go to the retraction form, or you can follow the process below. Under Your Recently Viewed Items, tap the item you'd like to cancel a bid for. Tap the More button in the top-right corner of the screen. Scroll down and tap the item you'd like to cancel a bid for. Scroll down and tap Continue. Scroll down and tap your reason for retracting.